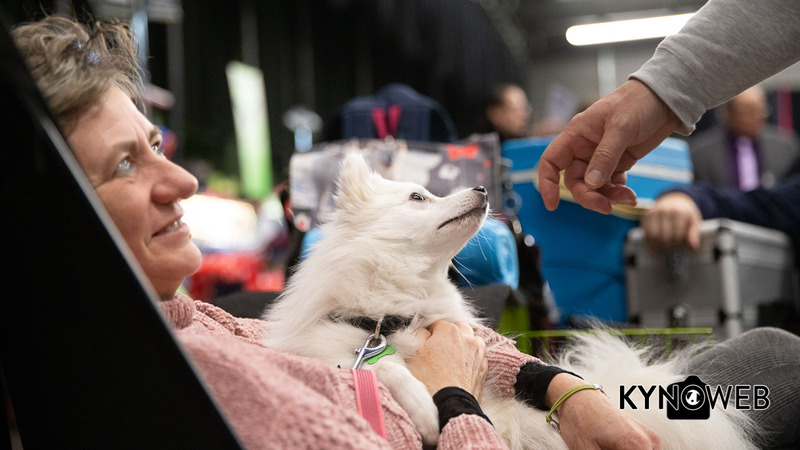 Every year, Genk plays host to a dog show organised by the LKV (Limburgse Kynologen Vereniging). 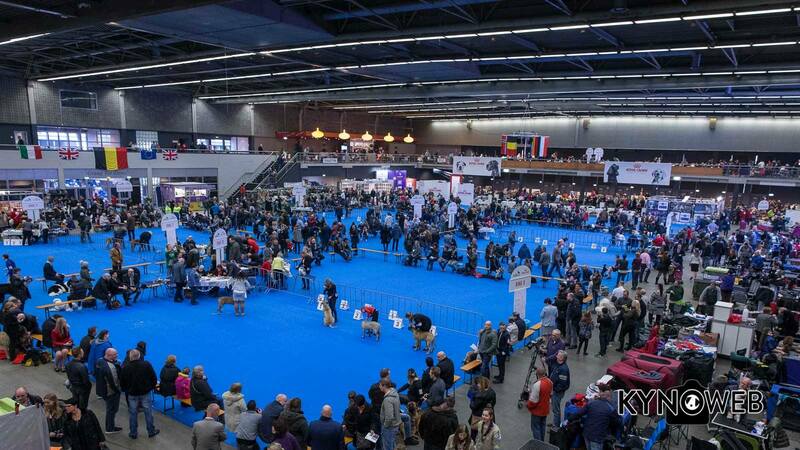 A busy show with 1880 dogs entered. 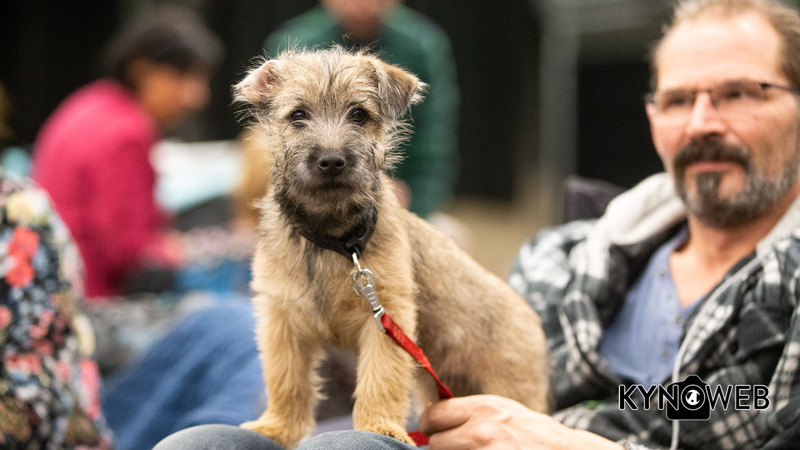 Most of the dogs entered came from Belgium, with Germany and the Netherlands following closely. 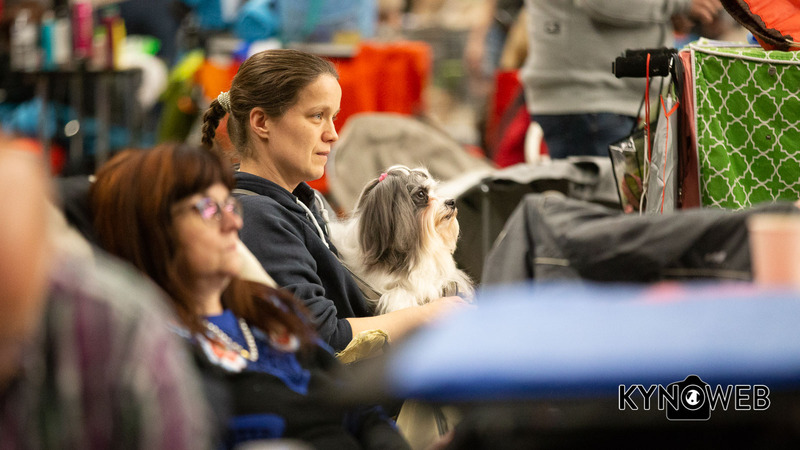 Ofcourse, most of the people had fun showing their dogs in the breed ring, but visitors were welcome as well. Some of them brought their own dogs or puppies, for instance to socialise them. 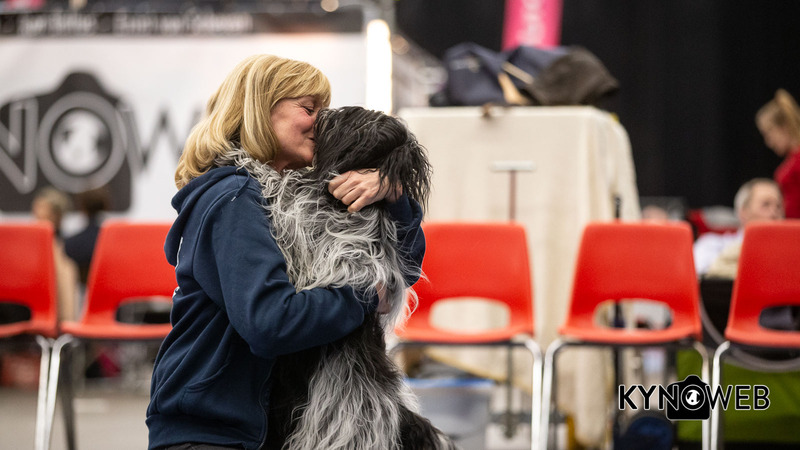 No matter if they were competitors or visitors, all of them had one thing in common: dogs! Saturday began with the judging of FCI groups 1, 5, 6, 9 and 10. The Rhodesian Ridgeback was the breed with the highest entry: 68 were entered. 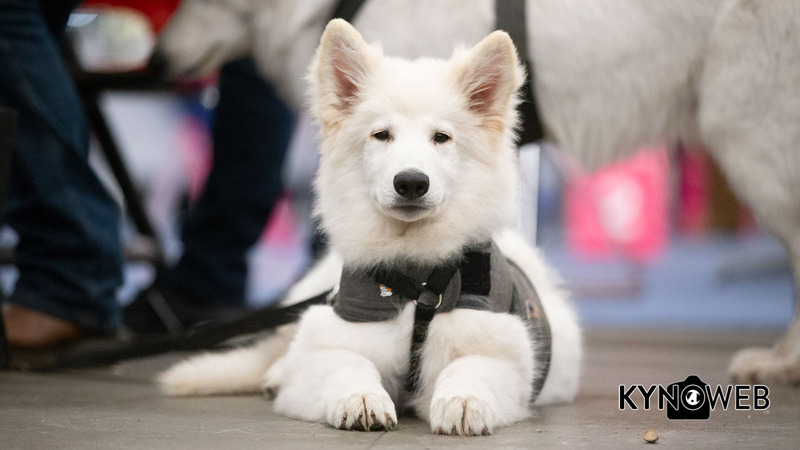 It was nice to see some Belgian breeds as well, such as the Bouvier the Flandres, the Malinois, the Schipperke, the Bloodhound and the Petit Brabancon. After a morning filled with judging, the afternoon continued with the group judging. 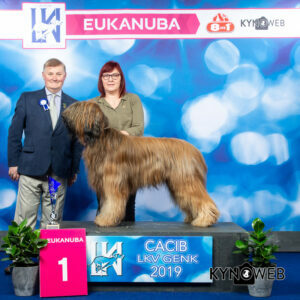 First place in FCI group 1 went to the Briard Pharo-Phoinix van het Klotzicht. Owners are Kurt Van Ghelewe and Cindy Coquerelle; judge was mr. Vincent O’Brien from Ireland. 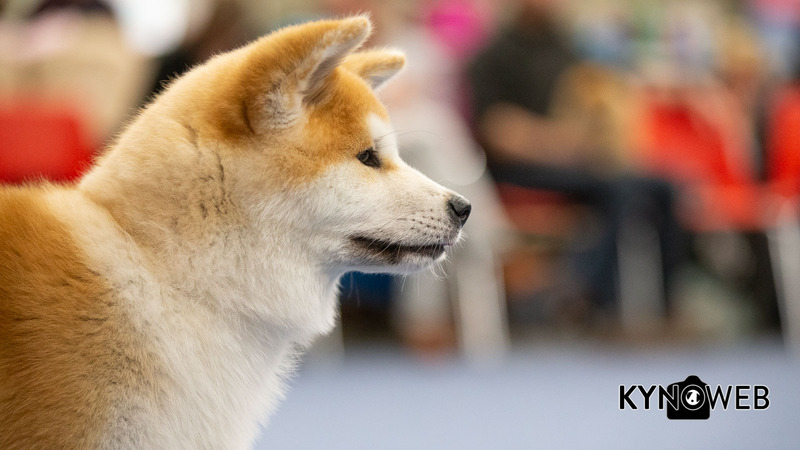 In FCI group 5, it was the Siberian Husky Ayyka’s Kara Mia who took first place. 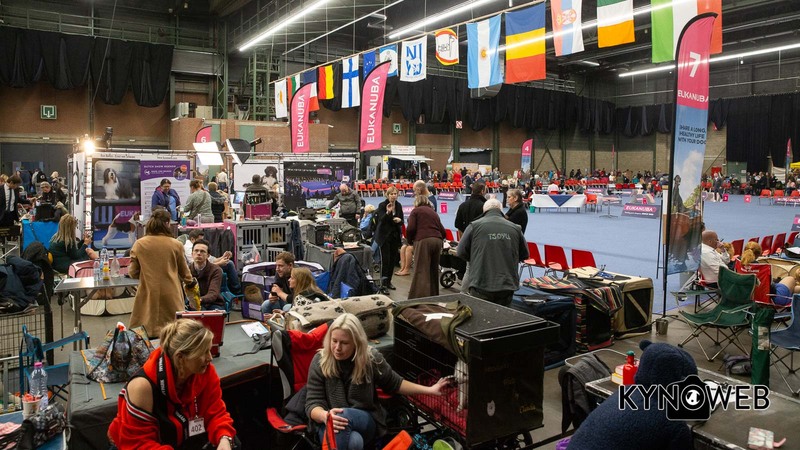 Owner is Joerg Robien; judge was mr. Roger Barenne from France. In FCI group 6, mr. Jos De Cuyper from Belgium made the Dalmatian A Spottified Quest for Adventure his number one. Owner is Alison van Rijswijck. 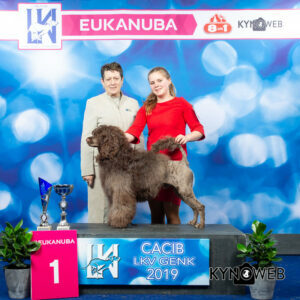 First place in FCI group 9 went to the Medium Poodle Nice Steps For Me Only. 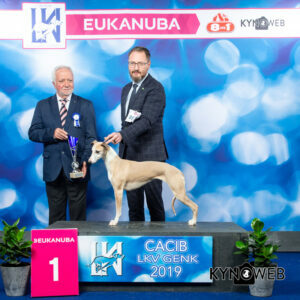 Owner is Julia Nad; judge was Dr. Tamas Jakkel from Hungary. The last group of the day was FCI group 10. Judge mr. Jean-Jacques Dupas from France awarded the Whippet Bonnymead Frozen Treat with the first place. Owners are Bart Scheerens and Leona Reynaert. 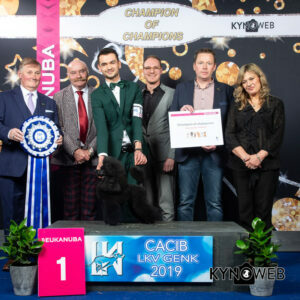 This year, part of the Genk dog shows was the “Champion of Champions” competition, and competing there is quite an honour. 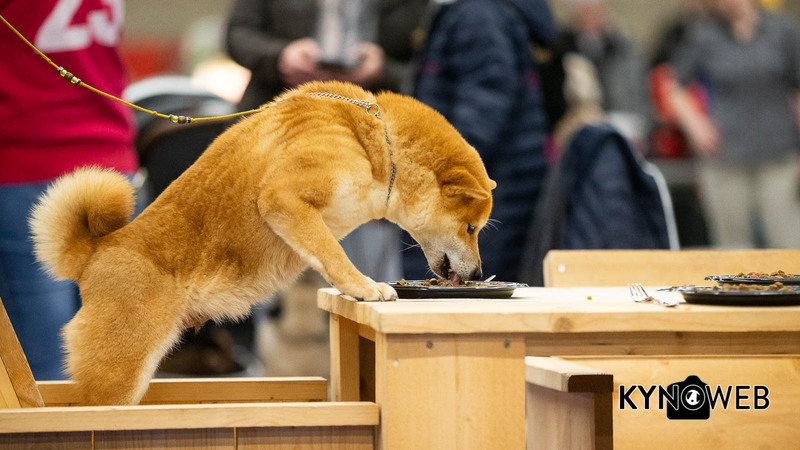 Saturday evening, 32 top dogs competed against each other in order to determine which one deserved the title of “Champion of Champions”. Different than normal judging, two dogs competed against each other, but only one of them went through to the next round. An international jury, consisting of mr. Vincent O’Brien from Ireland, mrs. Sonia Kelveri Philippou from Cyprus and mr. Roger Barenne from France, decided which dog would be crowned “Champion of Champions”. This year it was the Toy Poodle Christmas Spirit Superior World who won. 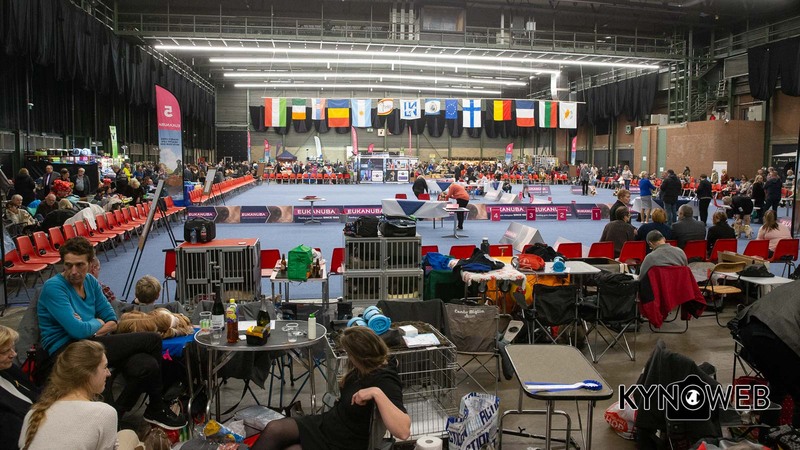 Afterwards, a gala dinner for all competitors completed the night. Sunday continued with the judging of FCI groups 2, 3, 4, 7 and 8. With 66 Golden Retrievers, this breed was the most represented on this day. 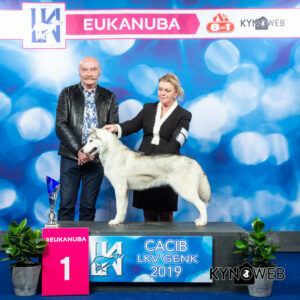 There were also a couple of rarer breeds entered, such as the Ciobanesc Romanesc de Bucovina. Sunday afternoon was reserved for the group judging and the Best in Show. 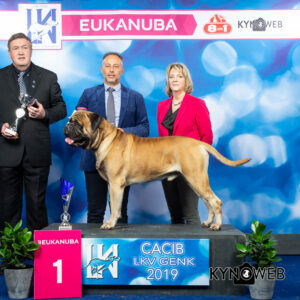 In FCI group 2, first place went to the Bullmastiff Perfect As Usual Of The Bumble Barns. Owner is Monique Joos; judge was mr. Shaun Watson from Cyprus. 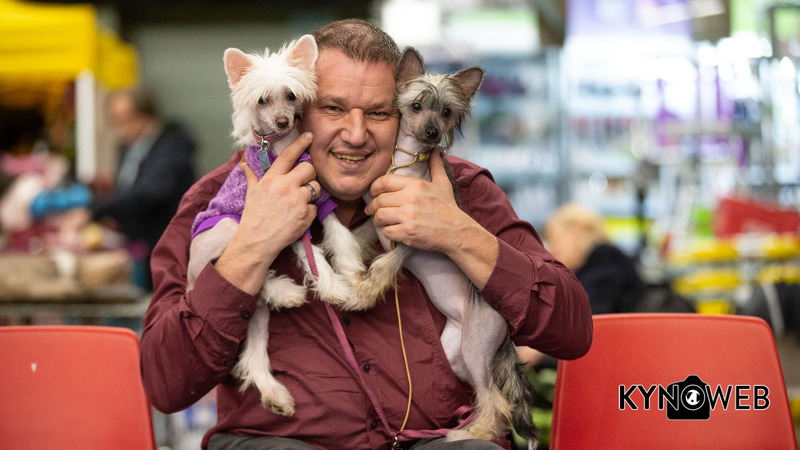 In FCI group 3, it was the Yorkshire Terrier Hunderwood Heaven-Sent who became number one under judge mr. Norman Deschuymere from Belgium. Owner of this dog is Eric Bernard. 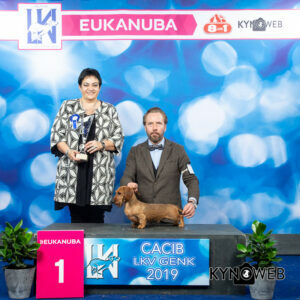 In FCI group 4, judge mrs. Anca Giura from Romania made the Wirehaired Rabbit Dachshund Prisme des Supers Supers from Jean-Francois Vanaken her number one. 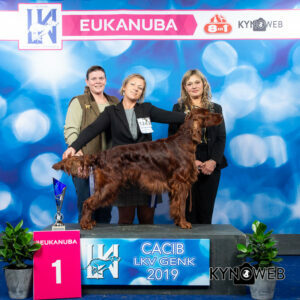 First place in FCI group 7 went to the Irish Setter Oakdene Quick Ten Sharp under judge mrs. Sonia Kelveri Philippou from Cyprus. 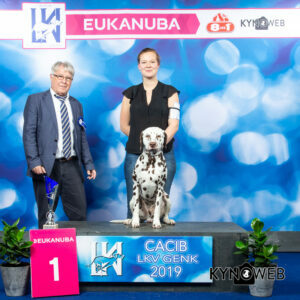 Owners are Leen Van Genechten and Bavo Akkermans. 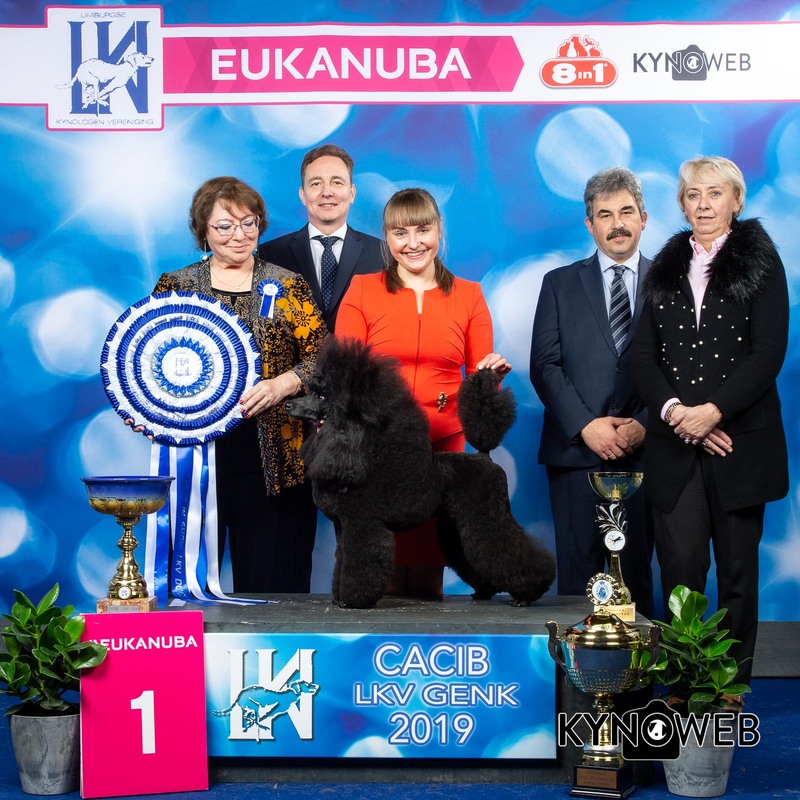 The last group winner of the day was the Portuguese Water Dog Go And Win Keep On Rocking. Owners are Peter Schmidt & Carolin Gauda; judge was mrs. Christine Watson from Cyprus. 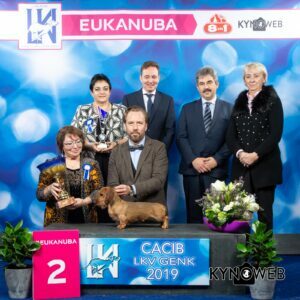 Mrs. Patricia Nemirovsky de Alsina from Argentina had the honour to judge Best in Show. 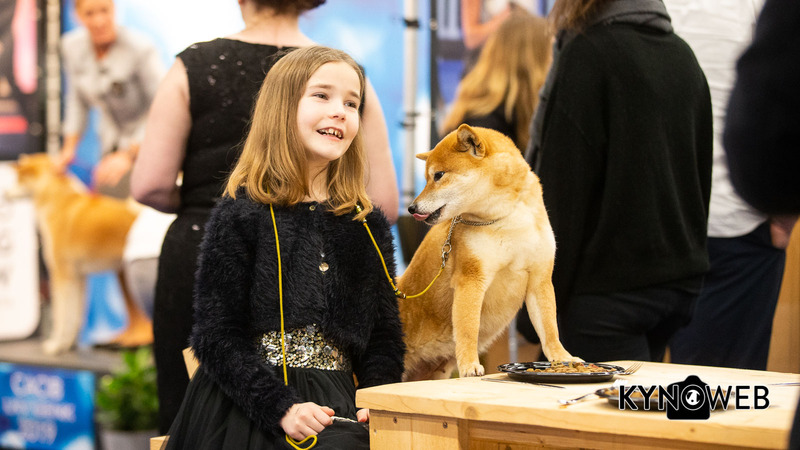 She did not only have a great eye for dogs, but she could sing as well! 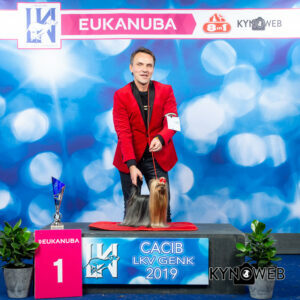 After singing Don’t Cry for Me Argentina, for which she received a standing ovation from the public, the last part of the Genk dog shows began. Finally it was time to announce the winner. Third Best in Show went to the Bullmastiff Perfect As Usual Of The Bumble Barns. Reserve Best in Show went to the Rabbit Dachshund Wirehair Prisme Des Supers Supers. 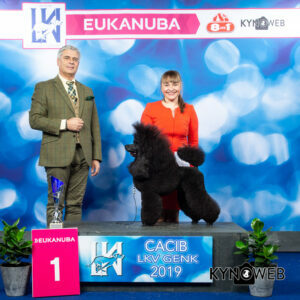 Last but not least, Best in Show went to the Medium Poodle Nice Steps For Me Only. This concluded a great show!